Douglas Fairbanks seems to be channeling his inner Ford Sterling in this unusually broad comedy of drug abuse and seaside hijinks. 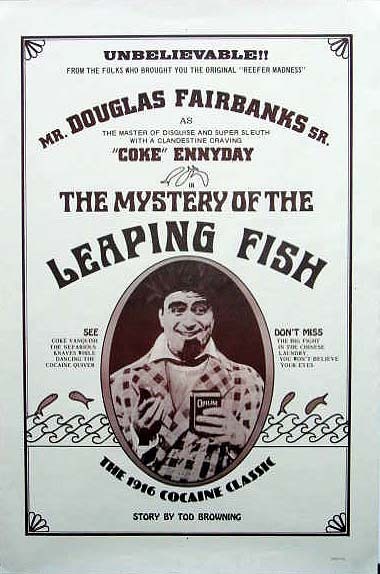 He plays the detective Coke Ennyday, an obvious parody of Sherlock Holmes, who must investigate an opium-smuggling ring – rather like calling in a cat to investigate a tuna fish theft! The movie begins with Coke Ennyday at home, in his dressing-gown. His clock says “Dope, Drinks, Sleep, Eats” on it. Coke goes ahead and shoots up, and his servant prepares an elaborate drink in the chemical laboratory. Before he can continue with this elaborate schedule, however, a man from the secret service arrives with a job. They’ve discovered a man “rolling in wealth, without any visible means of support” living in “Short Beach” and they want Ennyday to investigate. He needs to take another injection and blow cocaine all over the place before agreeing to the job. After the police constable leaves, he gets up to prepare for going out, removing his dressing gown and revealing the bandolier of syringes beneath. He dressed in matching checkered pants, deerstalker cap, and overcoat and goes out to a checkered car to drive to Short Beach. The man “rolling in wealth” meanwhile gets out of bed with some difficulty – he’s buried in dollar notes, and his house is cluttered with the stuff. He tells his servant to “press out a bundle of money” and also gets ready for his day of work. He runs a seaside bath house that rents swimsuits and “leaping fish” (actually inflatable fish that can be used as flotation devices). One of his employees is Bessie Love, known for some reason (ahem!) as the fish-blower. His other employees are swarthy men in yellowface, one of whom demands the fish-blower as payment for his ongoing silence about the real source of the wealthy man’s income. Shortly after he arrives, Ennyday sees the fish-blower in peril in the water, and dives in to save her, winding up face down in the muck. She manages to rescue him with an injection and he finds out about the leaping fish. He rents one to pursue some men (called “Japs” in the intertitles) he saw bringing something in from a boat out at sea. Smugglers! Ennyday’s fish isn’t fast enough, so he injects it with coke and catches up to the smugglers. When they bring in their leaping fish to the bath house, he watches from the rafters (after a typically acrobatic leap) as they pull opium out of the fish. Now he’s onto them! They wrap up the opium and the fish-blower in blankets and head out to a laundry, but Ennyday manages to secure one of their cans of opium and takes it orally, which has the effect of hopping him up even more than all his cocaine. Now he runs out after them and finds the gang in a Chinese laundromat. He fights the gang, bouncing around in his drugged-out state and injecting them one at a time so that they are unable to resist. The fish-blower has managed to beat up her assailant and just needs Ennyday to open the door and let her out the room they locked her in. The police arrive with a Black Maria and take the gang in. Ennyday has saved the day! The movie ends with a brief epilogue showing the script being rejected by the scenario editor. 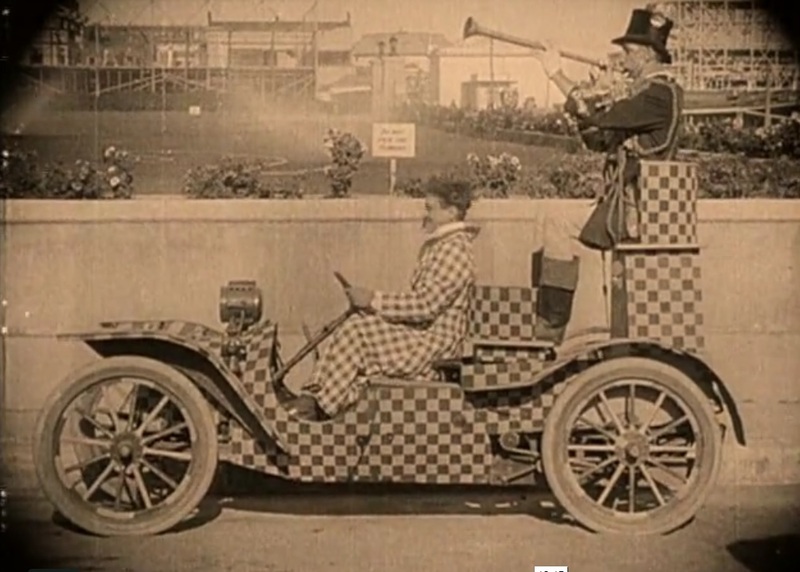 This is easily the wackiest comedy I’ve seen from Douglas Fairbanks. It’s almost a Keystone in its anarchic wildness and satire, and it uses Fairbanks’s acrobatics and physique only slightly. It also has some pretty unfortunate portrayals of Asians, pretty clearly played by white men. The part that will really stand out to modern viewers is its comedic use of drugs, something we associate with much later comedy (think of Cheech and Chong, Richard Pryor, etc.). 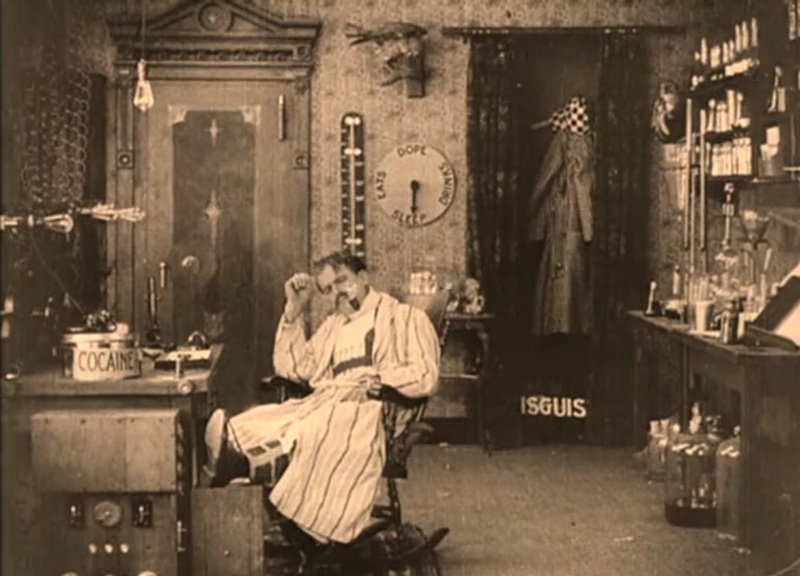 Drug prohibition was still a fairly new concept and of course there was no Hays Code prohibiting the depiction of drug use at the time, but this is still a very unusual approach to a 1916 comedy. Even Griffith’s depiction of “Dopacoke” wasn’t used for “vulgar” comedic purposes! 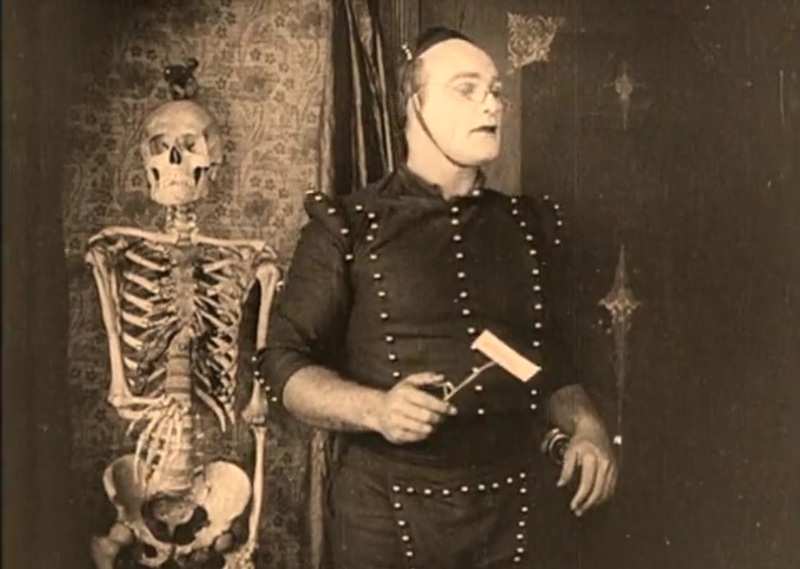 Apparently Fairbanks himself later regretted making the movie, and it later became a kind of cult hit. Personally, I didn’t think Fairbanks was all that good in the movie, which really needed someone of the caliber of Sterling or Chaplin to pull off the bizarre material. Fairbanks is a bit too much the all-American nice guy for this kind of satire. The other reason this movie is notable is that it was apparently written or re-written by Tod Browning, who later went on to direct some of Lon Chaney’s best-known movies, as well as the sound pictures “Dracula” and “Freaks.” Christy Cabanne (who would also work with Bela Lugosi during the sound period) was the original director, but was apparently fired during production and replaced with John Emerson, who brought Browning aboard. You can watch it for free: here (no music), or you can rent it online from Flicker Alley at Vimeo: here.